Summer wouldn't be complete without a special cool down treat. This year must be the summer of pools. We have been pool sitting for our neighbor, swimming in Nana and Papa's pool and been to fabulous hotels with outrageous pool. 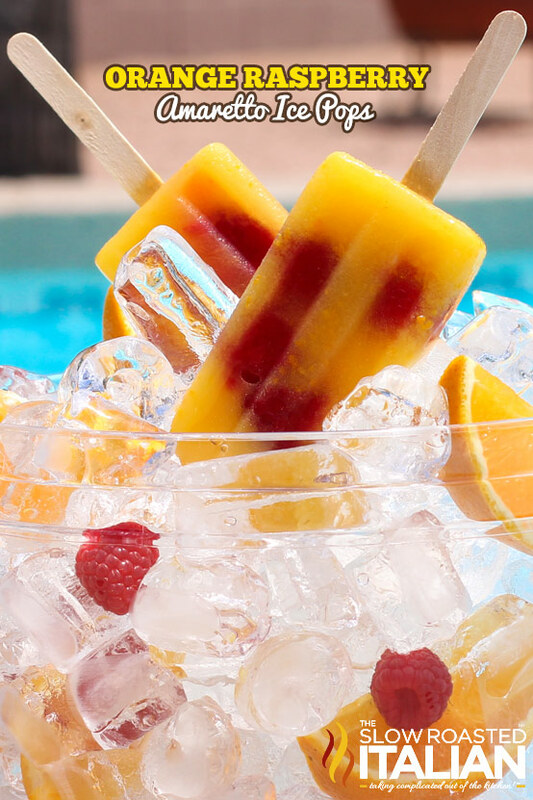 Time for swim lessons and scrumptious popsicles to cool down by the pool with. 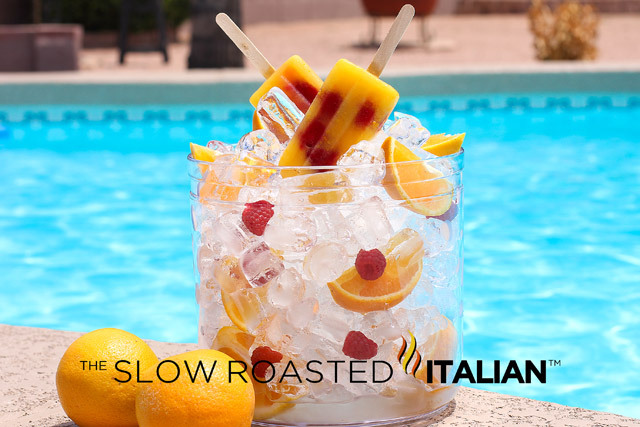 This Summery Orange Raspberry Ice Pop is knock your socks off delicious!